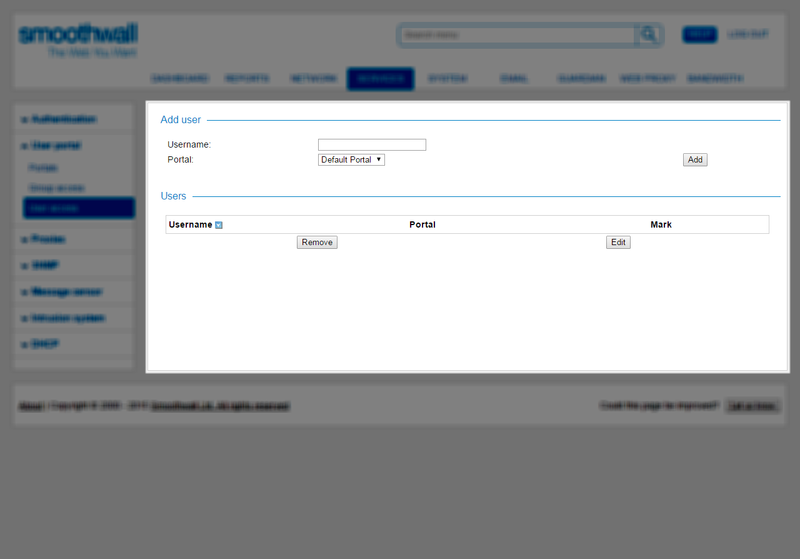 You can configure the Smoothwall so that a user uses a specific portal. This setting overrides group settings (see Assigning Portals to User Groups). 1. Go to Services > User portal > User access. • Username — Enter the username for the user for this user portal. This is case-sensitive. • Portal — From the drop-down menu, select the portal that the user can access. Why is there no password field for my portal user, but we're still prompted for one when logging in? 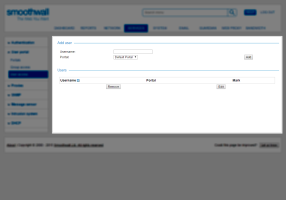 For ease of access, you use your domain credentials (username and password) to log into the user portal. The Smoothwall verifies this against those received from the configured directory connection (Services > Authentication > Directories) hence why you only need to specify who is granted access.